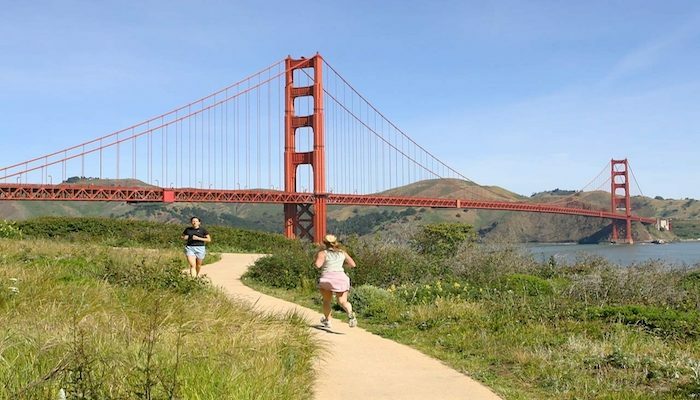 The Embarcadero, Crissy Field, and the Golden Gate Bridge are broken out into distinct runs here. 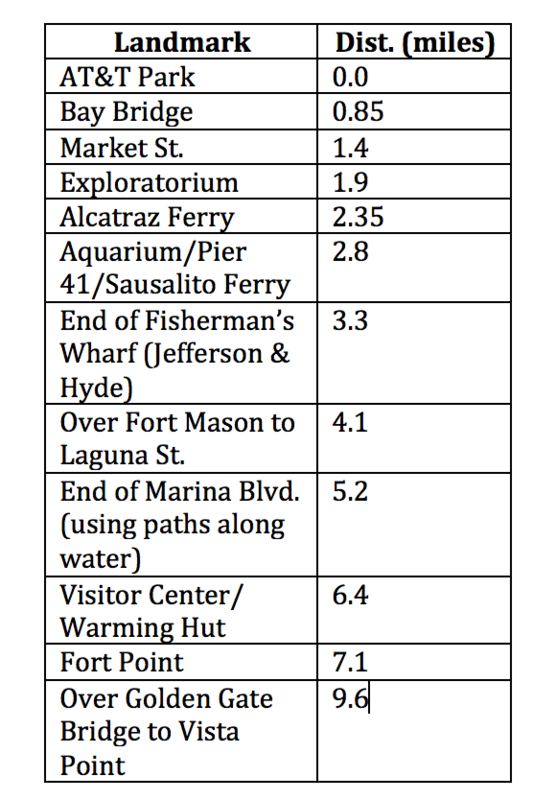 But the accompanying gives a sense of the entire run from AT&T Park, just 0.8 miles south of the Bay Bridge, all the way to Fort Point and then joining up with the trails that lead to the Golden Gate Bridge, and then over the Bridge to Vista Point. Total distance is 9.6 miles. 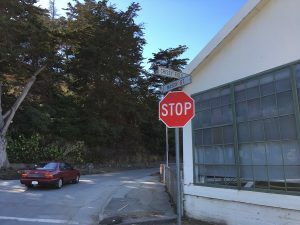 It is 0.3 miles from the end of the trail at Fort Point back to the Battery Trail at the intersection of Long Ave. where you climb up to the trails that lead to the Golden Gate Bridge. There are many opportunities to make the run longer or shorter. 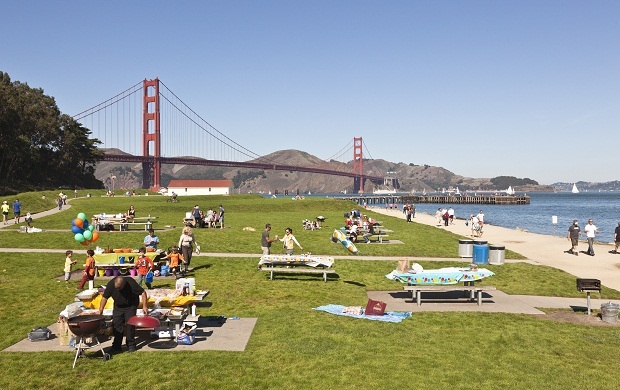 See our guides for Crissy Field to Fort Point, the Embarcadero, and Golden Gate Bridge.